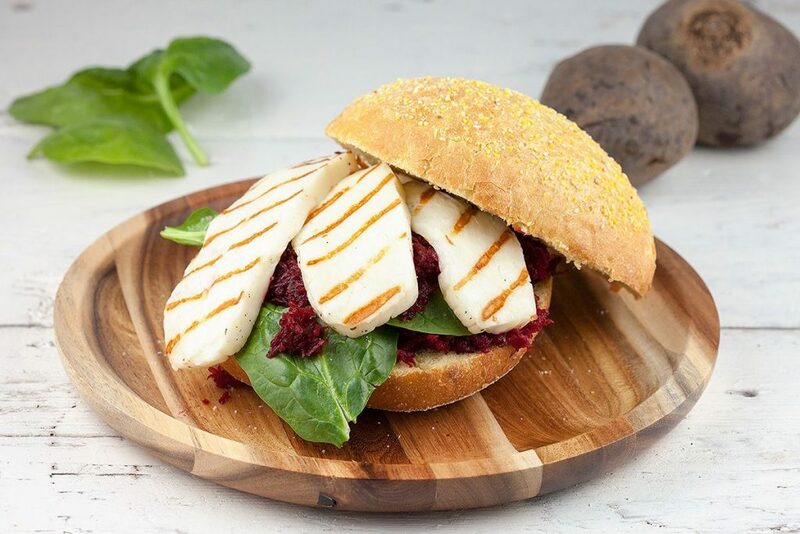 Delicious and easy grilled halloumi and red beets sandwich. Great flavor combination, makes an awesome vegetarian lunch. Ready in less than 10 minutes.